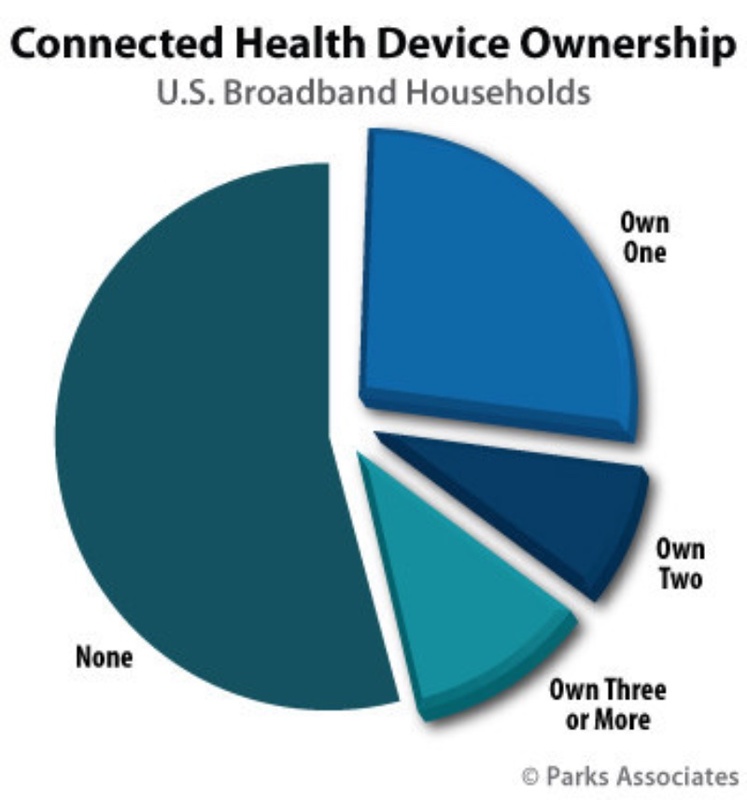 New Parks Associates research shows 19% of U.S. broadband households now own two or more connected health devices such as an Apple Watch, a modest increase from 16% in mid-2017. Harish Kilaru, director of Business Development at Cardiogram, which makes software that turns a wearable device into a continuous health monitor that can be used to track sleep and fitness, says that it’s important for patients with chronic conditions, like diabetes and hypertension, to catch and manage their condition early in order to prevent costly complications, but they often remain undiagnosed. “Consumer wearables, like the Apple Watch, can be used to accurately detect these conditions, making them powerful tools to help guide at-risk patients to the care they need,” he adds.